Liverpool will play Leicester City today in a Premier League game at Anfield. Centre-back Martin Skrtel is suspended after receiving his fifth yellow card of the season. Kolo Toure is likely to take his role as Dejan Lovren is still a doubt. Skipper Steven Gerrard is likely to be back after resting out against Swansea City. Philippe Coutinho and Adam Lallana will continue at their roles behind youngster Raheem Sterling. Former Liverpool full-back Paul Konchesky is suspended with his second red card of the season. But Jamie Vardy has returned from suspension. Star player Leonardo Ulloa remains a doubt after suffering a minor injury against Hull City. Daniel Drinkwater is likely to return to the lineup. Liverpool beat Leicester 3 – 1 at King Power Stadium almost a month ago. The host have lost just one of their last five Premier League games. Leicester ended their losing streak of six games against Hull City last weekend. The visitors have won just one of their last six meetings against the Reds. 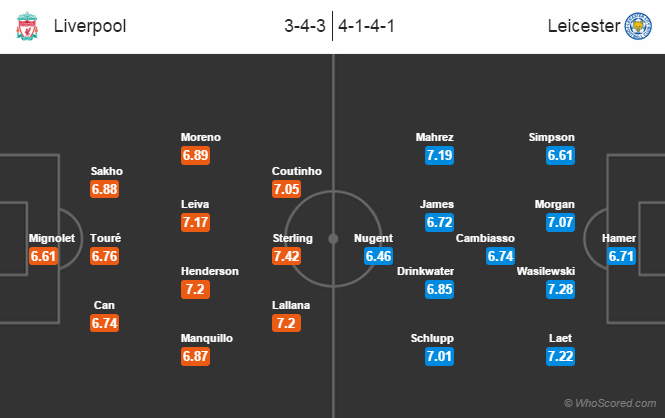 Liverpool 3 – 0 Leicester City, after a wonder full display against Swansea City last weekend, the Reds are going to win this game with a big margin.